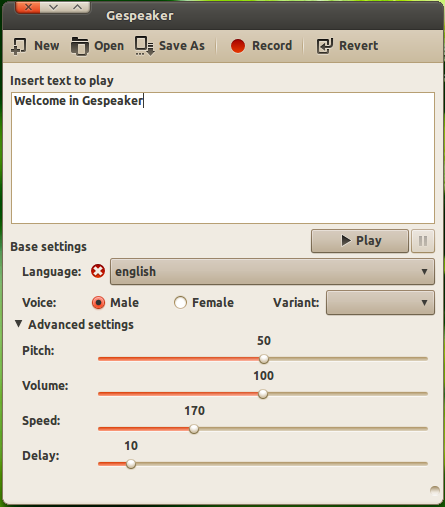 Gespeaker 'Text to Speech' utility is a GTK+ frontend for Espeak , that allows you to listen to text in many different languages. The utility also allows you to listen received messages from Empathy and others instant messengers. But these versions do not have support for instant messengers. 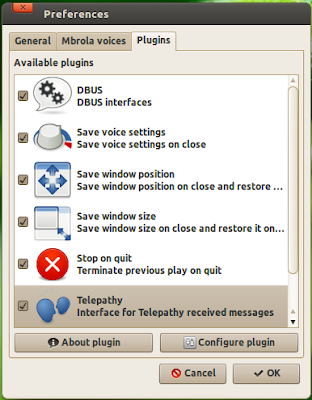 A newer version is available with support for IMs that can be downloaded from here. You can also download plugin packages for your favorite IMs from the downloads page. 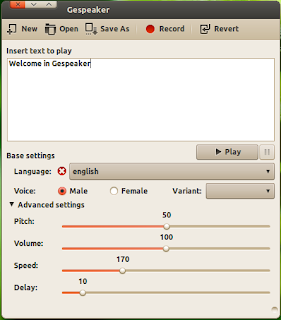 Gespeaker comes with voice packs for many languages. 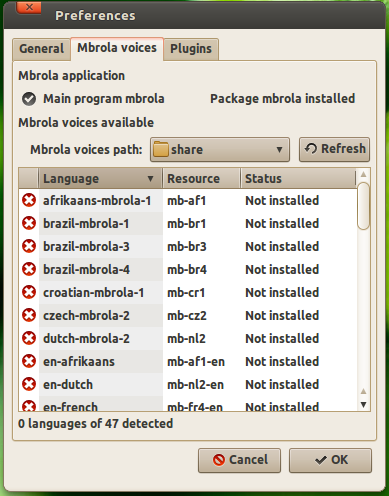 But if you can't find any particular voice pack, go to Gespeaker preferences and select Mbrola Voices, do a refresh and check what packages are not installed. 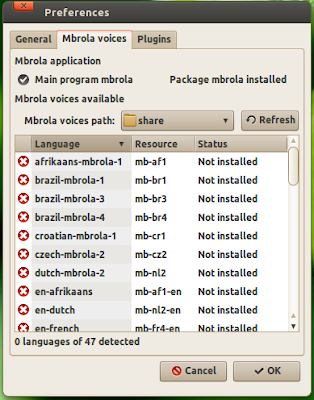 Now go to Synaptic Package Manager and type mbrola as search string and you will get a list of supported languages. Just install the package you require. Install your favorite IM plugin package from here. Go to preferences and on to the plugins tab. Just activate your plugin. Please note that you can only listen to the IM chat notifications if the Gespeaker utility is already running. So you have to keep it minimized all the time while you are online on any IM application. Thats it, you are all set.